Meet Houston Chocolate Hero Annie Rupani of Cacao & Cardamom and Try a Special Chocolate! Cacao and Cardamom's Annie Rupani with a tray of her artisan chocolates. Photo by White Beard Photography. 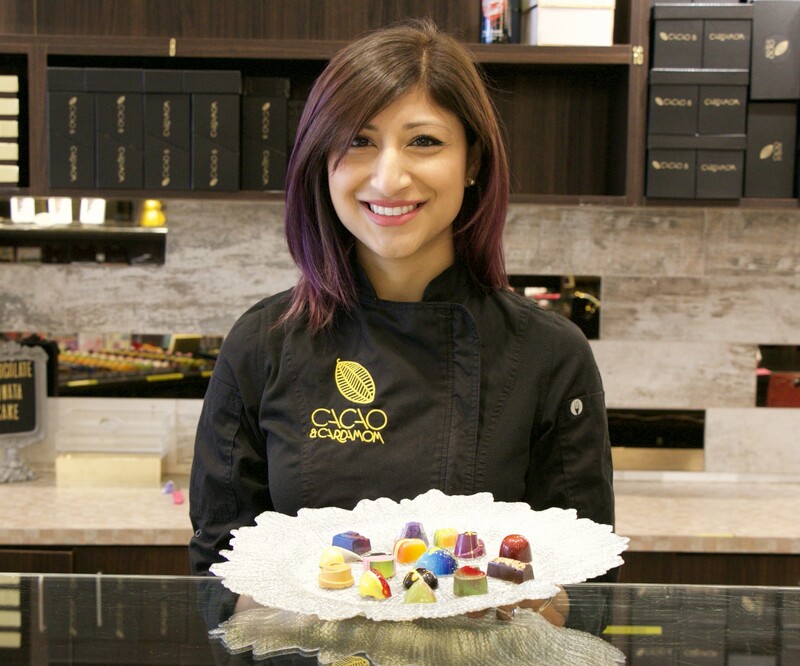 On Saturday, February 2 from 1 to 3 p.m., visit Cacao & Cardamom at 5000 Westheimer (the original location near The Galleria) for a special tasting event showcasing the work of owner and chocolatier Annie Rupani. The event is sponsored by Callebaut, maker of a wide range of fine chocolates chosen by top pastry chefs around the world for its consistency and high quality. Rupani has created a special Callebaut Dark Chocolate-Oregano Truffle for the event. It is also available for all of Houston Chocolate Heroes Month, which runs through February 10. During the event time only, buy one, five-piece chocolate assortment and get free! Cacao and Cardamom combines high-quality chocolate with spices from around the globe. Photo by White Beard Photography. Rupani went from beauty queen to crafting beautiful chocolates. Before becoming a chocolatier, the Sugar Land native was a pageant competitor who won the Miss Pakistan World crown in 2010. That was in addition to graduating with a degree in anthropology and religion. Next, she started studying for her law school admissions exam — and it was in the midst of that when she discovered her true passion. 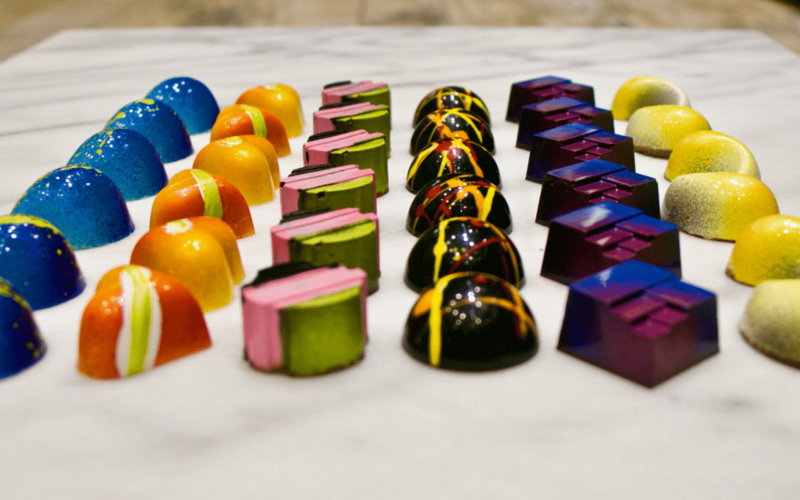 After taking chocolate classes in Kuala Lumpur, she made her way back to Houston and dedicated herself to her newfound career, showcasing her well-made and vibrantly hued truffles at many pop-ups and special events. Cacao & Cardamom is offering a Callebaut Oregano Caramel chocolate during Houston Chocolate Hero Month. Photo by White Beard Photography. Rupani quickly became known for the deft incorporation of spices from around the world in her glossy, well-made chocolates. Curry, chai and, of course, the namesake cardamom are just a few of the spices Rupani uses. 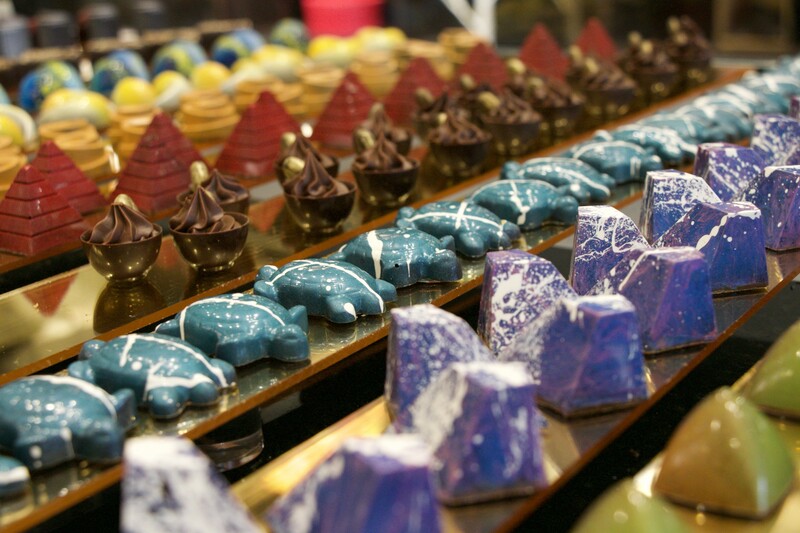 She also crafts truffles with fruit purees, such as passion fruit encased in white chocolate ganache and mango, passionfruit and caramel nestled in milk chocolate. Rupani opened the first Cacao & Cardamom storefront in 2014 in the posh Galleria shopping area and in 2018, expanded the business with a second store in River Oaks. Customers can also purchase her chocolates online. Recently, the company was honored as one of the Best Entrepreneurial Companies in America on Entrepreneur Magazine’s Entrepreneur 360 list. The award recognizes the chocolate shop’s leadership and growth as well as the hard work and craft that goes into creating fine chocolate products. Cacao & Cardamom is one of eight independent Houston businesses featured during Houston Chocolate Heroes Month. View the map to see all eight participating shops. At each, pick up a Houston Chocolate Hero Month Passport and collect a sticker for each of the treats throughout the month. Once you’ve collected all eight stickers, use the attached, pre-stamped envelope to mail the passport and receive a FREE Chocolate Heroes apron!